Communities United is a proud partner of the Baltimore People's Climate Movement. We are a decentralized, leader-full group of organizations, activists, and residents working to build the New Energy & Economic Future by undoing environmental racism in Baltimore. Our table of partners meets regularly to support one another in our collective struggle by directing energies toward ongoing work. Next week, our lead organizer Nabeehah Azeez will be on the panel for our New Energy & Economic Future Town Hall. Mustafa Santiago Ali, Senior VP of Climate, Environmental Justice & Community Revitalization for the Hip Hop Caucus, will open this town hall with a special video message. Then leaders from labor, climate, and local grassroots groups will dig into how we can build green industries in Maryland that protect our climate, provide clean, affordable power, and create family-sustaining jobs. Throughout the evening, you’ll have the opportunity to ask questions and engage in the conversation. The panel will be moderated by Marc Steiner (host of the Marc Steiner Show and founder of the Center for Emerging Media) and Khalilah M. Harris (host and executive producer at the Real News Network). Can you join us on August 28th at 231 Holliday Street at 5;30pm for this panel? RSVP here! 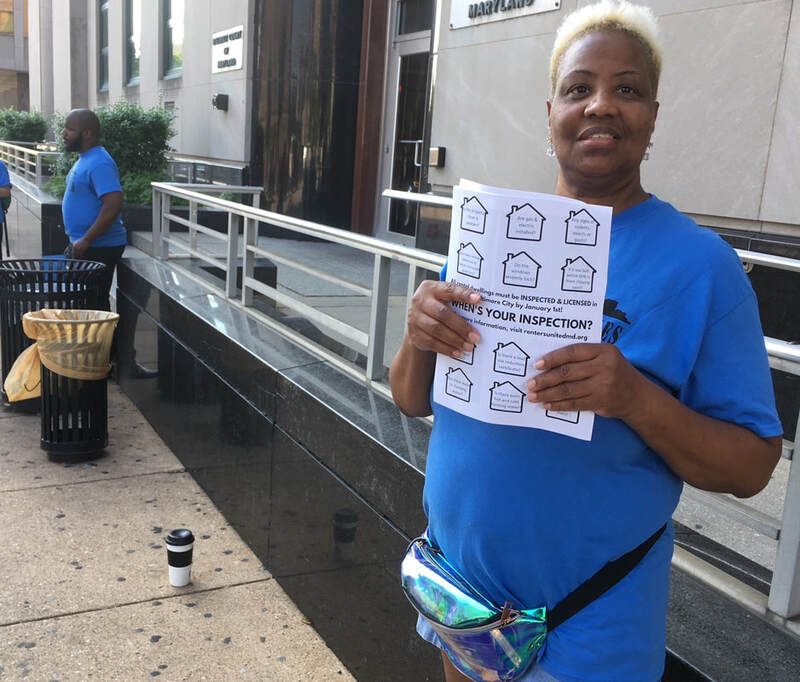 In March 2018, CU worked with renters advocates from across Baltimore City on sweeping reforms for rental housing. Landlords have from now until January 1 to inspect, repair, and license their 1-2 unit dwellings to rent them. For more information, visit rentersunitedmd.org or check out the press coverage from the action.